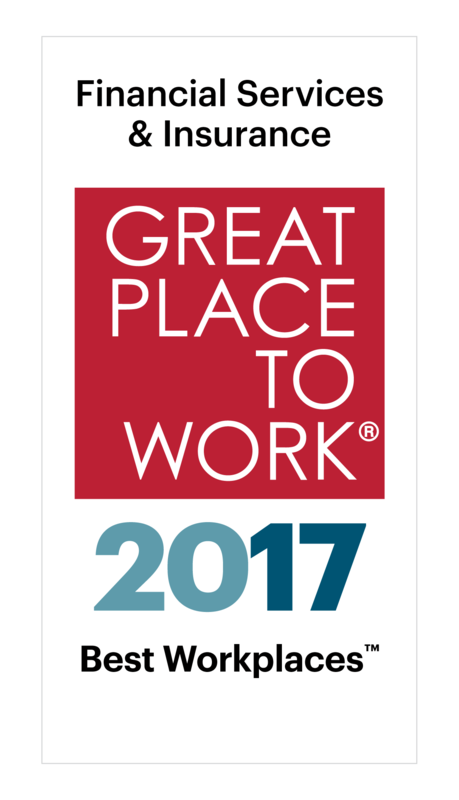 Published together with our partner, Fortune, the Best Workplaces in Financial Services & Insurance rankings are based on feedback from more than 62,450 employees at Great Place to WorkCertified organizations in the financial services and insurance sectors. Employees completed our anonymous Trust Index© survey, answering questions about how frequently they experience the building blocks of a great workplace. Employees rate leadership strength and integrity, pride in their work and organization, opportunities for professional growth and support for work-life balance among other factors. Results from the survey are highly reliable, having a 95 percent confidence level and a margin of error of 5 percent or less. The 2017 Best Workplaces in Financial Services & Insurance had average one-year revenue growth of 26 percent while peer companies averaged 18 percent.